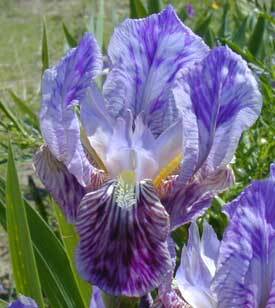 These are some selections of species iris. 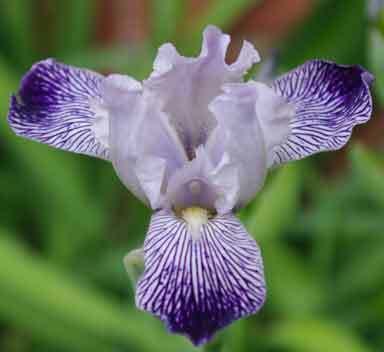 Some of these are ancestors of modern bearded iris. 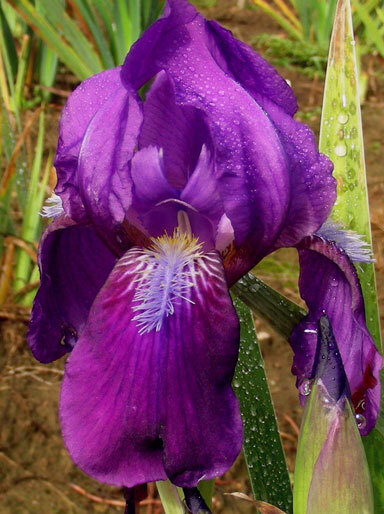 Others are species that were grown for their own merits in gardens since 1600 or earlier. 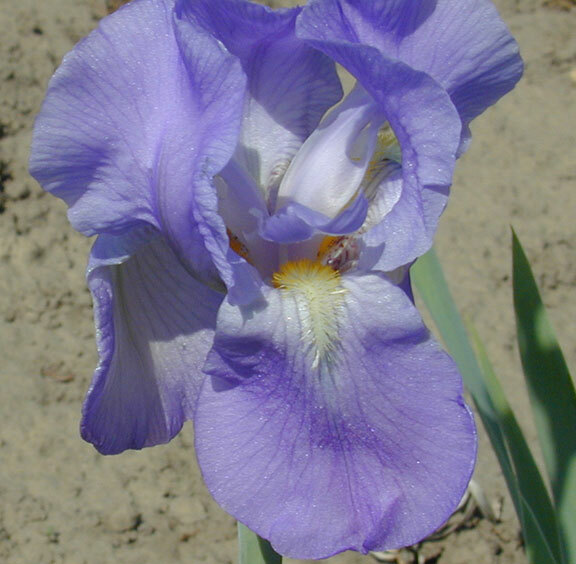 $8.00 I swertii 30" Small flowered; purple vein on white; attractive species. Tall stocks. Not really a species, but commonly listed that way. 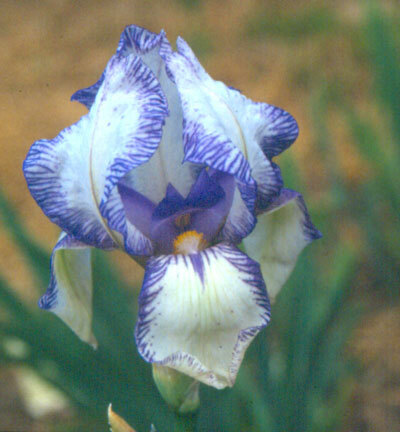 A natural hybrid found in a botanical garden. Never seen in wild. $6.50 I pallidia Dalmatica 38" A violet species with isrong grape scent. Found in a botanical garden. May not be a collected species. $6.50 I variegata reginae 20' A white bearded flower w/blue-vlt striped.